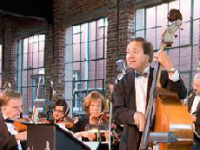 Atlanta Phil Harmonic Orchestra was founded on March 1, 2003. 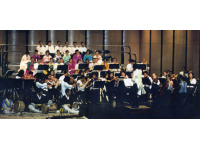 Atlanta youth Phil Harmonic Orchestra performed on December 3, 1993 at Evergreen Banquet. 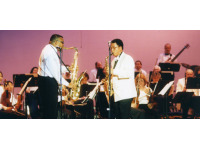 Atlanta Phil Harmonic Orchestra performed at Lockheed Martin on June 21, 1994. 50's Anniversary of National Liberation and Foundation ..
Atlanta Phil Harmonic Orchestra hold the Christmas Concert on December 1995. Atlanta Phil Harmonic Orchestra presented the Youth Concert with unforgettable movie themes on May, 1996. Atlanta Phil Harmornic Orchestra presented the Open Concert for the Christmas on December, 1996. Atlanta Phil Harmonic Orchestra hold the 99' Open Concert for the Christmas. 61's Anniversary of National Liberation Open Concert fo..
Atlanta Phil Harmonic Orchestra presented the 61's Anniversary of National Liberation Open Concert for Peace and Harmony in August, 2006.